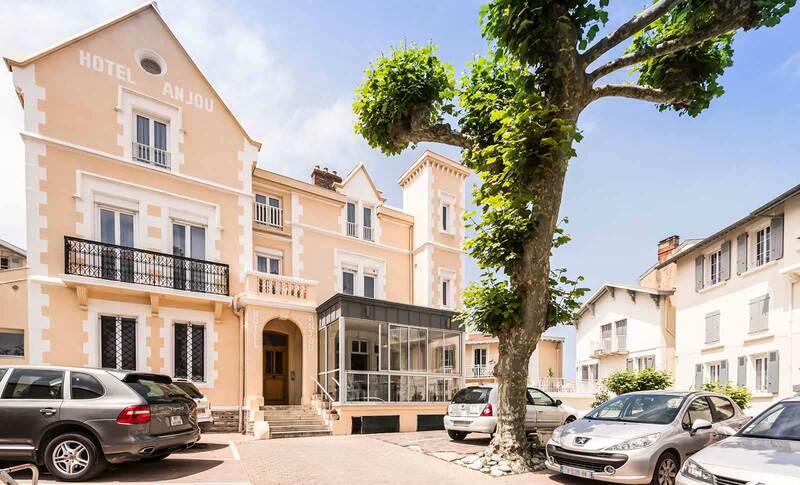 Welcome to the Hotel Anjou in Biarritz. 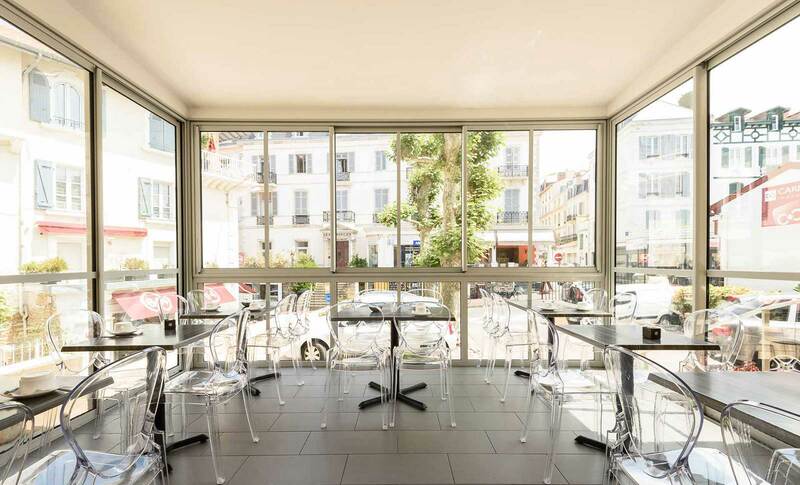 In the heart of Biarritz, 5 minutes walk from the beach, convention facilities and the Palais des Festivals, Hotel Anjou welcomes you throughout the year to stay single, couple or family. 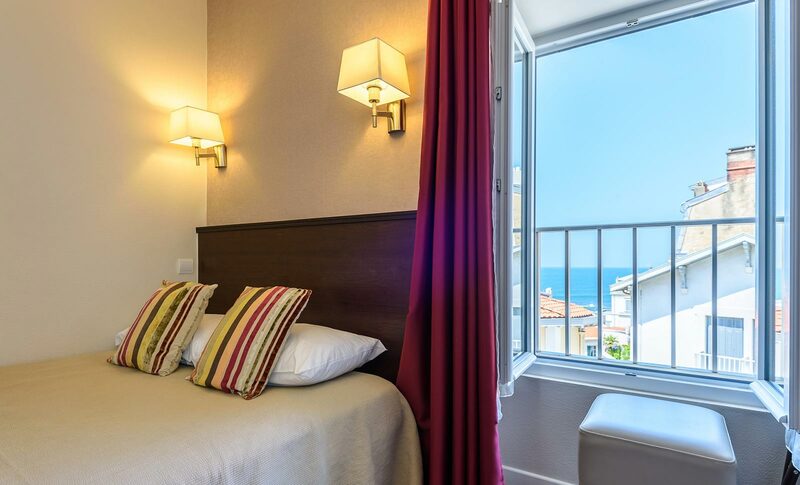 Discover the hotel and around Biarritz, the surfing capital of the world, the Basque culture and its traditions, gastronomy and Spain in a few minutes drive. Anjou Hotel has 35 rooms divided between the main lodge and two appendices: the Chalet and Esquina. 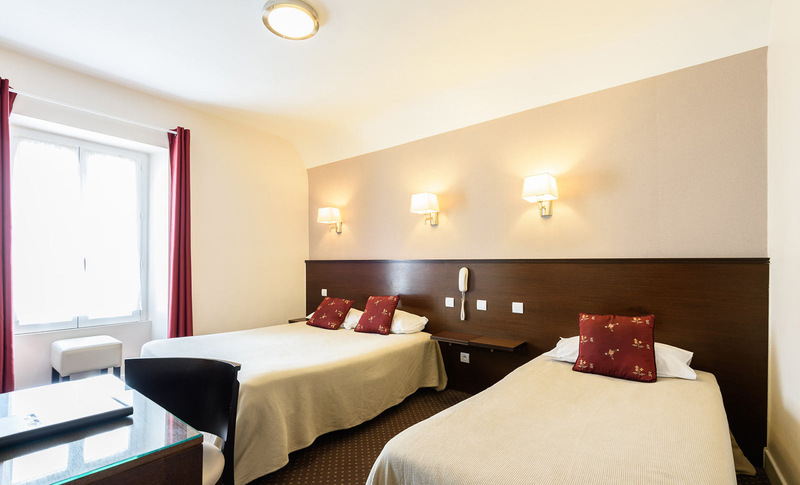 Our rooms can accommodate 1 to 4 people and are all different in both area and orientation.